Get More Speed, More Power, More Everything! Take your whole home entertainment to the next level with Xtream Silver 100 Triple Play! With speeds up to 100 Mbpsǂ, TiVo® DVR, home phone and so much more! For a limited time get 1 year of Netflix on us1! FREE INSTALL when you order online. ǂDownload and upload speeds are wired amd may vary. See our open internet disclosure for information on factors that could cause speeds to vary. Perfect for your basic Internet needs – enjoy download speeds up to 60 Mbpsǂ. In-home WiFi included. FREE INSTALL when you order online. Plus activation, modem, taxes & fees. *New customers only. See additional offer terms. Get Internet 100 and experience super-fast speeds up to 100 Mbpsǂ and powerful in-home WiFi. Plus get Netflix for 1 year on us! ǂDownload and upload speeds are wired speeds and may vary. See Open Internet Disclosure for information on factors that could cause speeds to vary. 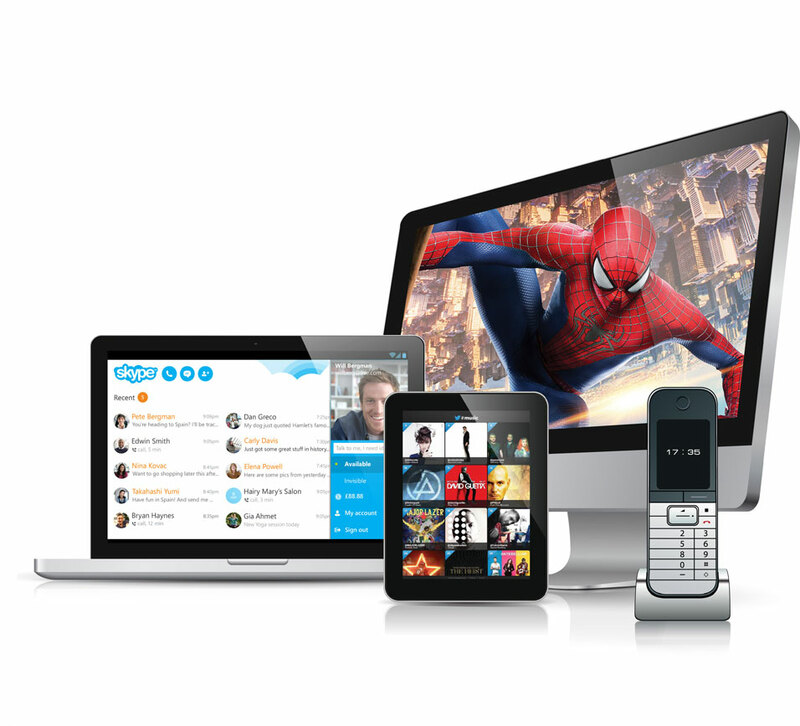 Mediacom services can be customized to fit your needs. Start shopping local offers and plans in your area. Services that seamlessly work together. We pride ourselves in giving you the best connected in home experience; delivering you services on one platform, from one company, and equipped with the latest technology so you get the most out of your TV, Internet & Phone. Mediacom is committed to bringing America’s smaller regions the best technology available. *Xtream Silver 100 Pricing: Advertised monthly price is good for one year. Thereafter, the monthly price increases by $30 in the second year and then $20 in the third year until the fourth year, when each service will begin to be billed at the standard rate (currently $189.98 for all three services). Price does not include standard installation fee ($99.99, more if special work needed); a one-time $10 activation fee; or other one-time fees that may apply because of options you select nor does it include the following recurring monthly charges: (i) modem fee, currently $11.50; (ii) regional sports network surcharge; (iii) local broadcast station surcharges; (iv) taxes, franchise fees and other amounts required by law to be collected or paid; or (v) fees for optional services or equipment you may want. All of these monthly charges may increase from time to time; surcharges vary depending on location and may increase due to programming cost increases. If you cancel any of the services in the package, standard rates will be charged for any continuing services. After the first year, if our standard rate for any service in your package that is not free increases or we institute a new fee for service subscribers generally, we can pass that increase or new fee along to you. Internet Service Usage Allowance & Speed: Internet 100 is subject to a usage allowance of 1,000 gigabytes per monthly billing period. Excess usage will be billed at $10 for every increment of up to 50 additional gigabytes used. For example, if usage exceeded the allowance by 51 gigabytes, the additional charge would be $20. Usage allowances and excess usage charges are subject to change at any time. See https://mediacomcable.com/usageallowance for more information about usage allowances. Download and upload speeds may vary, see https://mediacomcable.com/openinternet for information on factors that could cause speeds to vary. Offer Availability: Offer may be terminated any time without notice. Offer may not be available in all areas, cannot be combined with any other offer, is not transferable and is void where prohibited. Available only to residential customers who have not received any offered service within prior 90 days and meet applicable credit and other requirements. Customer must agree to all applicable subscriber terms and policies. Other terms and conditions may apply. 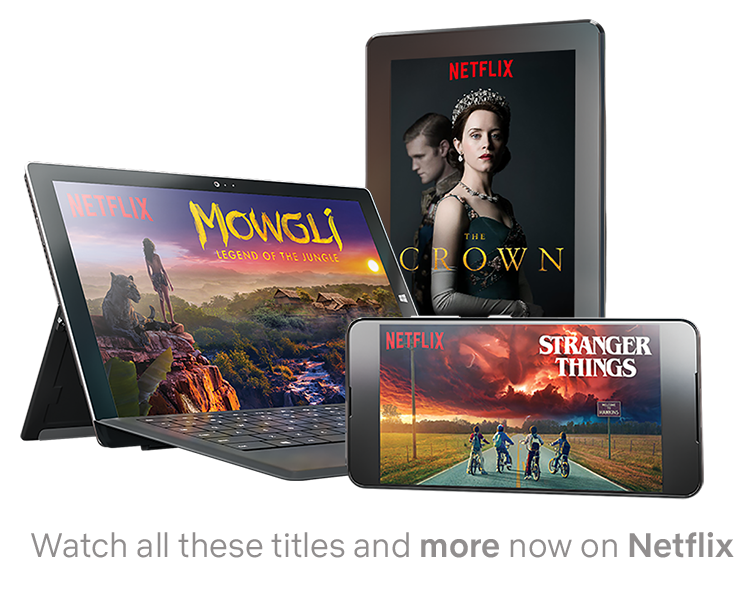 Netflix offer expires 6/21/19; must redeem by 9/21/19. Valid for 12 months of Netflix Service on the $12.99/month. “Netflix Standard (HD) Streaming Plan” (total value $155.88). A Netflix compatible device (manufactured and sold separately) and broadband Internet connection are required to watch instantly. Offer is not redeemable or refundable for cash, subject to applicable law, and cannot be exchanged. You may apply the value of the offer to a different Netflix streaming plan. Exchanges in this manner may alter the duration of the offer. Netflix Service price plans subject to change. See www.netflix.com/termsofuse. If you already have a Netflix membership you will receive a credit on your account. *Internet 60 Pricing: Advertised monthly price is good for one year. Thereafter, the monthly price increases by $30 until the third year, when service will begin to be billed at the standard rate (currently $69.99). Price does not include standard installation fee ($99.99, more if special work needed); a one-time $10 activation fee; or other one-time fees that may apply because of options you select. Price also does not include the following recurring monthly charges: (i) modem fee, currently $11.50; (ii) taxes and other amounts required by law to be collected or paid; or (iii) fees for optional services or equipment you may want. All of these monthly charges may increase from time to time. After the first year, if our standard rate increases or we institute a new fee for service subscribers, we can pass that increase or new fee along to you. Internet Service Usage Allowance & Speed: Internet 60 is subject to a usage allowance of 400 gigabytes per monthly billing period. Excess usage will be billed at $10 for every increment of up to 50 additional gigabytes used. For example, if usage exceeded the allowance by 51 gigabytes, the additional charge would be $20. Usage allowances and excess usage charges are subject to change at any time. See https://mediacomcable.com/usageallowance for more information about usage allowances. Download and upload speeds may vary, see https://mediacomcable.com/openinternet for information on factors that could cause speeds to vary. Offer Availability: Offer may be terminated any time without notice. Offer may not be available in all areas, cannot be combined with any other offer, is not transferable and is void where prohibited. Available only to residential customers who have not received any offered service within prior 90 days and meet applicable credit and other requirements. Customer must agree to all applicable subscriber terms and policies. Other terms and conditions may apply. Advertised monthly price is good for one year. Thereafter the monthly price increases to the standard rate then in effect (currently, $79.99). Price does not include standard installation fee ($99.99, more if special work needed); a one-time $10 activation fee; or other one-time fees that may apply because of options you select. Price also does not include the following recurring monthly charges: (i) modem fee, currently $11.50; (ii) taxes and other amounts required by law to be collected or paid; or (iii) fees for optional services or equipment you may want. All of these monthly charges may increase from time to time. After the first year, if our standard rate increases or we institute a new fee for service subscribers, we can pass that increase or new fee along to you. Internet Service Usage Allowance & Speed: Internet 100 is subject to a usage allowance of 1,000 gigabytes per monthly billing period. Excess usage will be billed at $10 for every increment of up to 50 additional gigabytes used. For example, if usage exceeded the allowance by 51 gigabytes, the additional charge would be $20. Usage allowances and excess usage charges are subject to change at any time. See https://mediacomcable.com/usageallowance for more information about usage allowances. Download and upload speeds may vary, see https://mediacomcable.com/openinternet for information on factors that could cause speeds to vary. Offer Availability: Offer may be terminated any time without notice. Offer may not be available in all areas, cannot be combined with any other offer, is not transferable and is void where prohibited. Available only to residential customers who have not received any offered service within prior 90 days and meet applicable credit and other requirements. Customer must agree to all applicable subscriber terms and policies. Other terms and conditions may apply. 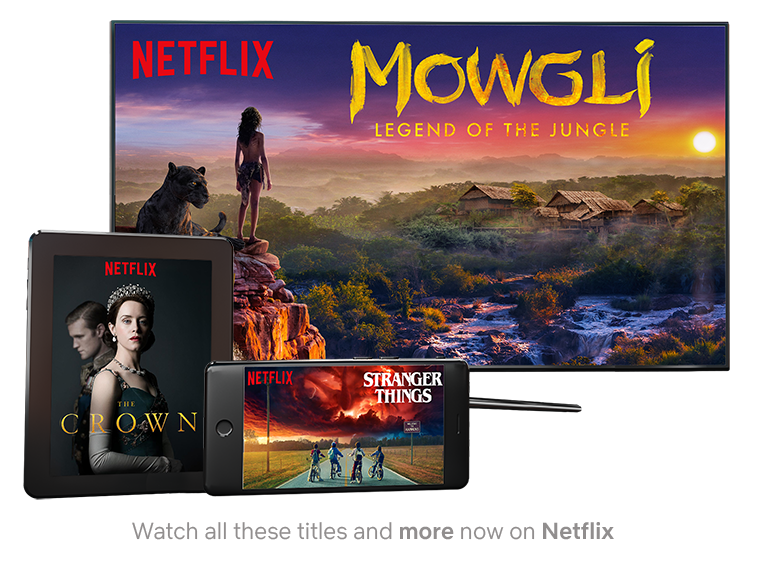 Netflix offer expires 6/21/19; must redeem by 9/21/19. Valid for 12 months of Netflix Service on the $12.99/month. “Netflix Standard (HD) Streaming Plan” (total value $155.88). A Netflix compatible device (manufactured and sold separately) and broadband Internet connection are required to watch instantly. Offer is not redeemable or refundable for cash, subject to applicable law, and cannot be exchanged. You may apply the value of the offer to a different Netflix streaming plan. Exchanges in this manner may alter the duration of the offer. Netflix Service price plans subject to change. See www.netflix.com/termsofuse. If you already have a Netflix membership you will receive a credit on your account. Internet 60 Offer pricing: Monthly price is good for one year and thereafter increases by $20 each year until service will begin to be billed at its standard rate (currently $54.99). Price does not include standard installation fee ($99.99, more if special work needed); a one-time $10 activation fee; or other one-time fees that may apply because of options you select. Price also does not include the following recurring monthly charges: (i) modem fee, currently $10; (ii) taxes and other amounts required by law to be collected or paid; or (iii) fees for optional services or equipment you may want. All of these monthly charges may increase from time to time. After the first year, if our standard rate increases or we institute a new fee for service subscribers, we can pass that increase or new fee along to you. Internet Service Usage Allowance & Speed: Internet 60 is subject to a usage allowance of 250 gigabytes per monthly billing period. Excess usage will be billed at $10 for every increment of up to 50 additional gigabytes used. For example, if usage exceeded the allowance by 51 gigabytes, the additional charge would be $20. Usage allowances and excess usage charges are subject to change at any time. Download and upload speeds are not guaranteed and may vary. Offer Availability: Offer expires on date stated above and may be terminated any time without notice. Offer may not be available in all areas, cannot be combined with any other offer, is not transferable and is void where prohibited. Available only to residential customers who have not subscribed to any offered service within prior 90 days and meet applicable credit and other requirements. Customer must agree to all applicable subscriber terms and policies. Other terms and conditions may apply.